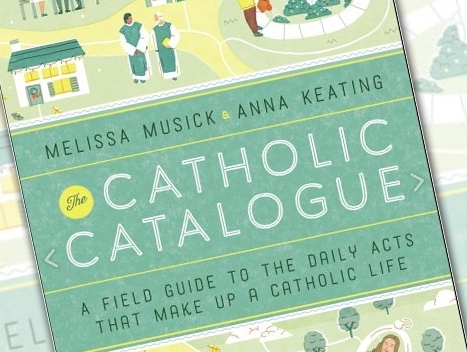 I received my copy of The Catholic Catalogue by Melissa Musick and Anna Keating on Fat Tuesday. Earlier in the day I googled “shrove” to see why it is sometimes referred to as Shrove Tuesday. I didn’t realize that I would have the field guide to such questions in my hands a few hours later. The book, which is immensely practical, interesting, and helpful, defines many of the terms that surround Catholic holidays, rituals, and customs. It provides an overview of the cultural practices of the Catholic faith, drawing on our rich tradition and practices from around the world. The book will appeal to Catholics of all stripes, but particularly to millennials and others who are interested in integrating their faith into their daily lives and adopting customs drawn from the Catholic tradition, but were not raised in a Catholic culture and missed out on many of these practices or have lived apart from this culture for a long time. I found the book particularly valuable for my own family, as my wife and I look to create enduring traditions for our family and inculcate the values we hold dear to our children through our daily lives. My wife, Sarah, is a convert to Catholicism and I was raised in a climate where few feast days were celebrated or discussions of scapulars took place. Just a few months prior to this, we were trying to figure out how to get or make an Advent wreath and how people typically use them. Can we light the candle(s) each night? Is there a prayer many people say? The Catholic Catalogue is perfect for addressing precisely these questions. The book covers everything from holy oils and incense to how to find a parish to Easter eggs, crafts, and legends to baptism to the funeral liturgy. The book is accessible without surrendering depth, giving the reader an authentic understanding of these practices that is easy to comprehend. One of the best themes found throughout the book is the communal nature of the faith. This is at the very heart of Catholicism. These customs and practices are so important because they foster communion with God and one another in our daily lives. They reorient our lives away from the individualism of modern life and make us aware that we are persons, made by God and finding meaning in community. The book is full of recommendations for coming together to live the faith. Whether this is among family or friends, it provides advice for people of all ages to live a richer, fuller Catholic life in greater communion with others. The day Amoris Laetitia came out, a lot of my friends were live Tweeting passages. My newsfeed was glowing with all of these beautiful quotations about the beauty of marriage and family. That’s one aspect of Pope Francis’ thinking that I would like to think more about: the role of beauty and the beauty of daily practice that makes it into all of his writings, whether about family or about the environment. I really appreciate the way he highlights tenderness and the beauty of daily practice, of doing little things for spouses and being patient with each other—how those small acts, those small changes can really contribute to a loving relationship…. This is one of my hopes for both The Joy of Love, but also the entire corpus of teaching that has emerged from Pope Francis: that this subtle theme of beauty will be lifted up and help encourage us in our daily practices. That it will encourage us to perceive beauty in our daily lives and small activities, whether within our family, among friends, within the workplace, or out in the world. In the past I have offered some creative ways of approaching the Lenten “fast.” In addition to giving up something, we often hear the alternative of taking something on, kind of like a Lenten new year’s resolution. These are all fine, but I want to offer another twist to Lenten penance. What images come to mind when you hear the word penance? Penance usually gives us negative images in our mind. We think of Jesus fasting in the hot dry desert for 40 days (which is what Lent commemorates). We may also think of ascetical practices like putting pebbles in our shoes or self-flagellation. But the word penance comes from the Latin word for repentance and when the Bible uses the word repentance it usually carries a meaning of changing our attitude toward sin. A change of attitude means a change of orientation. Lent is a time to develop ourselves so we come out on the other side (Easter) more prepared to avoid sinful tendencies and habits that are not life-giving and that do not bring us closer to God. Ascetical Lenten practices actually help us in this. But no one’s suggesting self-flagellation or walking a mile on your knees. In fact, asceticism actually means to train or exercise, as in training like an athlete; it’s not about self-denial. Here’s my suggestion: Take a look at the ascetical practices that already happen every day, those little things that offer the opportunity to build spiritual strength. Parenting may be one – how does parenting help you “train”? Maybe you have a long commute like me – does it give you time to grow closer to God at all? Tough relationships are also opportunities to exercise charity and love of neighbor. Even cooking for another can be considered an ascetical practice if it helps you develop your love for others. Asceticism happens every day. Part of finding God in all things is noticing the little daily opportunities to change our attitude toward sin and bring us closer to God. It’s the penance of noticing. In Madrid we live in apartment flats (pisos) and our house chapel is a converted bedroom – a rather small bedroom. For our community of fifteen fully grown Jesuits, it can be a tight fit. The space is about twice as long as it is wide, so we sit on a bench against one of the longer walls, leaving just enough room for the presiding priest to face us from the other side of a narrow altar. If you’ve ever wondered why the disciples are all on one side of the table in Da Vinci’s Last Supper, here’s a possible explanation: perhaps they were dining in someone’s bedroom. Most people experience the liturgy from a distance, noticing arms raised and lowered, the mixing of water and wine, the shuffle of plates, cups, and candles. For most people, everything happens somewhere up there. In our chapel there is no up there, no long processions, no smoke and mirrors; the back row is the front row and you can’t help but notice every last detail. It all happens, quite literally, right before your eyes. I’ve basically memorized the nervous tics of each presiders’ hands, their habits of turning pages, breaking bread, pouring wine. I, like many people, normally adopt a ‘safe-distance’ approach to the sacraments — hoping to experience God at my own pace and on my own terms — so, at first, this bedroom-chapel arrangement was a little jarring. What had been a public ritual celebrated in big cavernous churches, had become an intimate act, a personal experience — a fitting preparation, I suppose, for my own ordination. What was once a kind of magic has become, by grace, mundane. I recently went to Rome and visited the mother church of the Jesuits, the Gesu. Let me assure you — it’s one mother of a church. Baroque exuberance at its best, the Gesu is overwhelmingly beautiful without falling, as so much baroque art does, into the hopelessly gaudy. This church is flooded with the full force of the Ignatian imagination, the greater glory of God crammed into every last detail. I imagine the Jesuit poet Gerard Manley Hopkins would marvel at it all — a temple turned playground where the eye can’t help but tumble from one thing to the next, the whole church charged with the grandeur of God, angels and saints flaming out all over the place. There is no risk, in the Gesu church, of forgetting that what happens there is sacred. There is greater risk of forgetting that what we memorialize there was a simple meal – a last supper for a soon to be convict. In that great stone church, dedicated to the name of Jesus, we gather to consecrate our most humble gifts and we pray that they become his body and blood. At the center of all that polished marble we are moved most by a bit of bread and a cup of wine. In one corner of the church a large painting hides a silver statue of Ignatius – a real ‘man of steel’. Every afternoon a baroque mechanism (fabulously called a ‘conversion machine’) scrolls away the painting, dramatically revealing the statue behind – it’s basically the 17th century equivalent of a gif. Watching the whole show unfold it struck me that we also risk forgetting that Ignatius, like Christ, like us, was human. Fleshy and fallen, by many measures, a failure. Back in Madrid one of our beloved elder Jesuits made us smile recently during a daily liturgy by absentmindedly taking the elevation of the host as a convenient time to simultaneously glance at his watch. It wasn’t a grave crime, just the liturgical pragmatism of a septuagenarian priest saying mass in a converted bedroom. He probably needed to take a pill at a certain hour, something that – through him, with him, and in him – he didn’t want to forget. This same priest began showing signs of Parkinson’s earlier this year. His hands shake when he’s not focused. I watch them move through the liturgy like I’d watch my mother’s hands in the kitchen as a kid, like I’d watch the hands of a woodworker or a calligrapher. They know well the pages, the tabs, the ribbons, the simple rhythm of it all. That he can recite the prayers while checking the time is actually a kind of proof of faithfulness – if not attentiveness – and even his liturgical blunders are a memorial of grace. Watching his hands I am reminded of how the sacred is poured out in frailty, how the mundane is made holy in fidelity. In a bedroom chapel, a jailhouse gym, or the Gesu church, in all things and in every moment, it’s good to remember that we are all held together by a few trembling hands and a little holy communion. 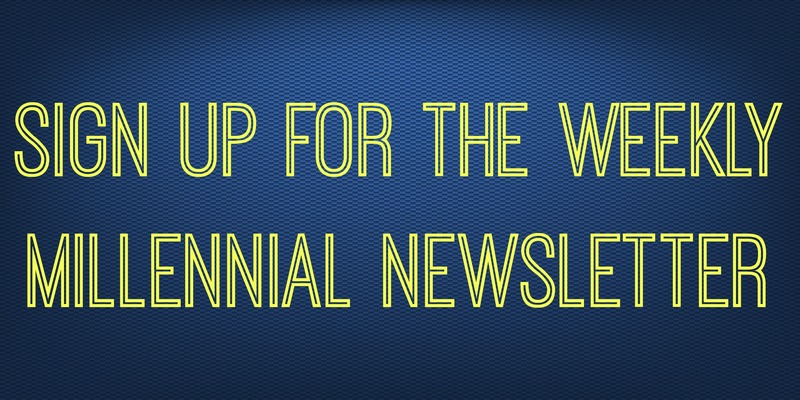 This article by Brendan Busse, SJ originally appeared at The Jesuit Post.